Having two sections per class, a student-teacher ratio of 20:1 and a small class size of 30 facilitates personal attention to students. The curriculum is designed to achieve a balance between academic and co-curricular activities, a practice prevalent in the progressive schools of the world. A place where toddlers can discover the fascinating world of fun and friends, the pre-school at The Aryan International School will lay the foundation for a lifetime of self learning and related skills. The curriculum is not stringent and the focus is on learning through interaction, fun and games. A very extensive range of activities, e.g., drawing, colouring, cutting, tearing, pasting, plasticine and clay work, music, singing and dance, story telling, dramatics, puppetry, playing with educational toys, etc. prepare the child to pursue formal learning. The focus in the primary classes will be on learning through experience. Applicable to both, academic as well as co-curricular activities. During primary school, learning through experience is achieved through exposure to as many activities and environments as possible. Development of the child’s scientific temper, evolution of a questioning and inquisitive mind, self expression and communication, self confidence along with spatial and motor skills will all be honed and transacted through the curriculum. Evaluation will be a continuous process instead of a one-time, end of the academic year, testing system. This will lessen pressure on the child and allow for the child’s learning experiences to be joyous and stress-free. The methodology followed during these formative years will be an extension of one utilized in the primary classes. Again, acquisition of knowledge will be achieved through questioning, dialogue, experimentation and exposure to various media . Ample opportunities will be provided to the children interact with each other within the student community, on the same platform, through encouraged participation in various intra-and inter-school activities. 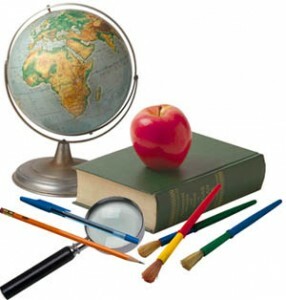 Children could also choose from different foreign language courses offered by the school. Evaluation during these years will be more comprehensive and detailed, aimed at steering the students towards the mainstreams. A wide variety of subjects including modern languages, commerce and humanities are offered in the Secondary and Senior Secondary classes as per the requirements of the CBSE. To provide to the students career guidance so as to help them recognize their area of interest and make an informed decision and assist them in acquiring knowledge, skills and abilities that will enable them to gain entry into institutions of higher education, catering to their chosen field. Central to the curriculum and learning process at The Aryan International School will be the relationship between the teacher and the student and among the peer group. Taking on the role of facilitator of knowledge rather than a disseminator of information. The teachers recruited by the school will undergo special orientation programmes and workshops so that they understand our philosophy and beliefs and help us achieve them. Training programmes conducted from time-to-time will help them stay in touch with development in touch with developments in the field of education.